© (P) 1979 Casablanca Records; © 2014, The Island Def Jam Music Group. "Amazon" is a registered trademark of Amazon.com, Inc. "iTunes" is a registered trademark of Apple Inc.
** Richie Fontana drums on NOTHING. "Dynasty" was certified gold on 6/6/79 and Platinum by the RIAA on 7/10/79. It has sold over 167,000 (3/12) copies since the SoundScan� era commenced in 1991. 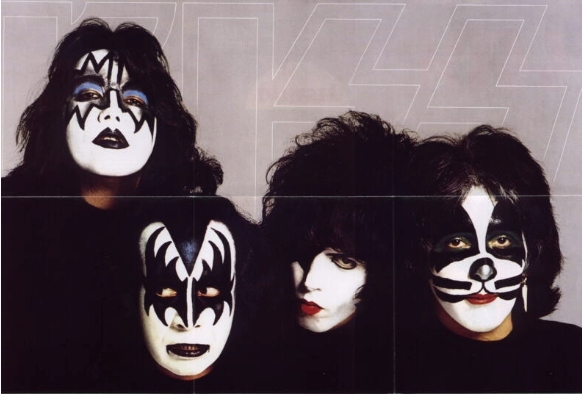 "I Was Made For Lovin' You" became the band's second gold single being certified on 8/16/79. The album was certified gold by the CRIA (Canada) for sales of 50,000 copies on 7/1/79. Platinum (100,000) followed on 8/1 and double-platinum (200,000) on 11/1. Additionally, "I Was Made For Lovin' You" was certified as a gold single (5,000) on 8/1/79. In Australia the single attained platinum certification from the ARIA for sales of over 100,000 copies. Only 33% of "Dynasty" has been performed live: "I Was Made For Lovin' You" and "2,000 Man" were the contemporary additions to the "Return of KISS" tour in 1979. "Sure Know Something" was a popular unplugged addition in 1995 and part of the KISS Symphony in Australia in 2003. Paul also dug up "Magic Touch" for his 2006/7 solo tours and "Hard Times" has been a staple in Ace's solo sets.